Your guests will certainly be impressed. 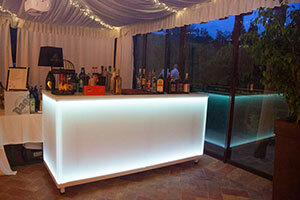 We can rent you our lighted counter bar measuring 290x80x110. 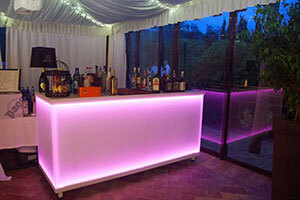 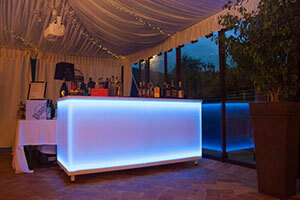 You can change the counter bar colors as to how you best prefer thanks to a RGB led that allows you to choose the most fascinating and elegant color perfectly in match with your wedding. 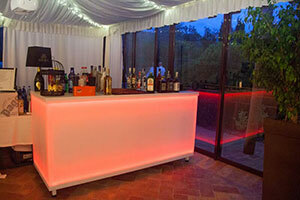 You can choose the color you fancy before the wedding party.